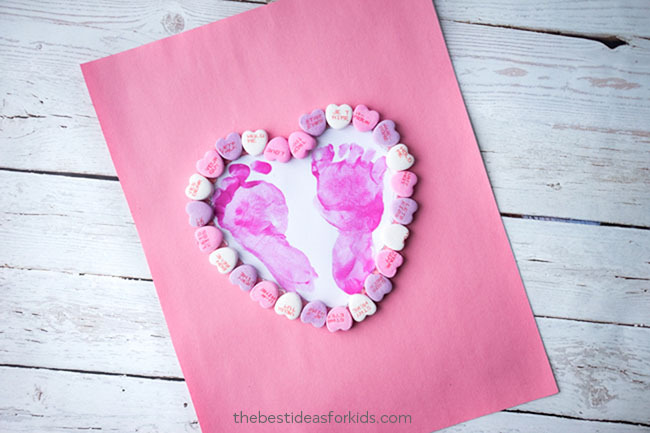 If you haven’t tried a footprint craft yet this footprint heart craft is the one you must try! 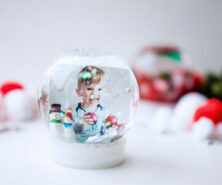 It’s such a simple idea but makes a beautiful keepsake you can cherish for so many years! 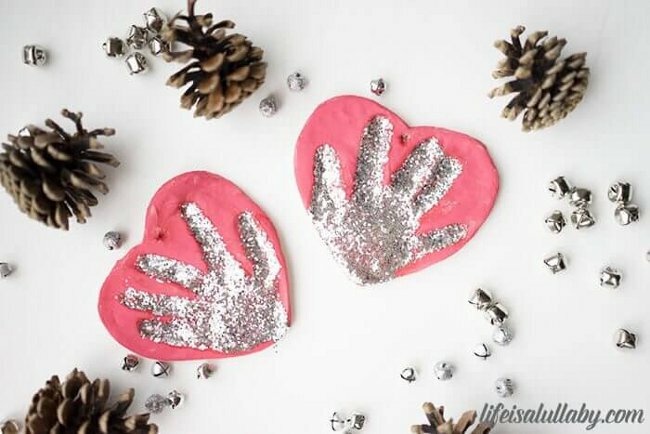 Don’t worry about messy feet either – kids love to get messy! 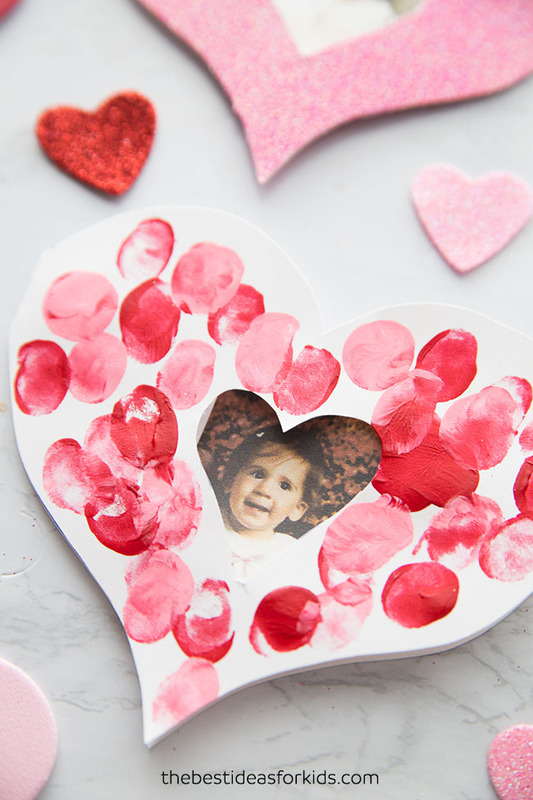 And the messiness is definitely worth it for the adorable keepsake you will have. 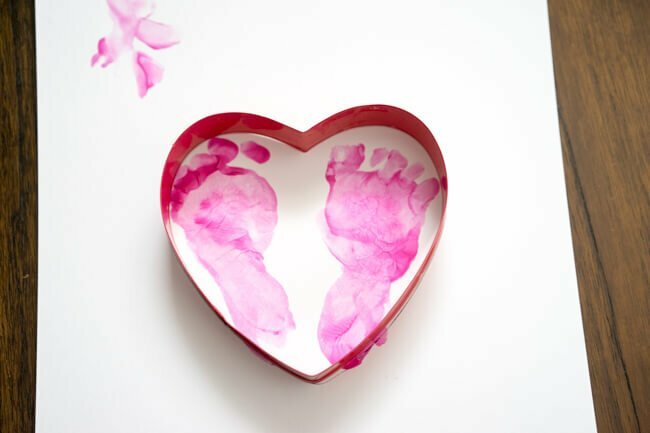 Someone special in your life will adore getting this footprint heart as a gift. It’s just so cute! First you need to get your footprints! This is actually a lot harder than it looks. Here’s what we did. We first painted a little bit of washable paint onto baby’s foot. By painting it on you can make sure you get all of the areas of the foot. If you try to dip in the paint, which I did at first, it is really messy and you may miss some toes! 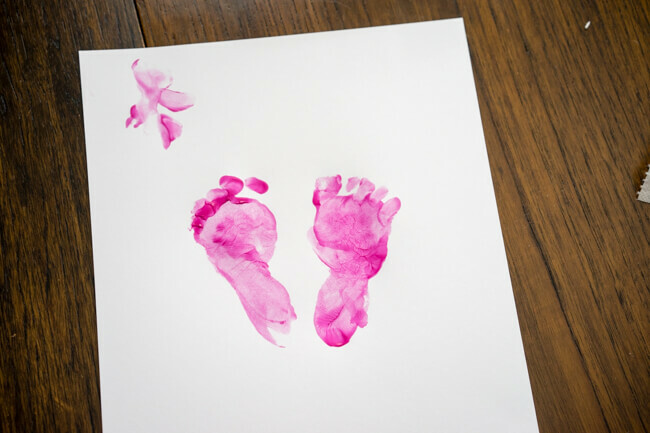 For older kids, have them step into the paint on a paper plate (this is much easier) and have a bucket of water with a little soap for easy clean-up nearby. Now try to carefully place the foot down on some cardstock paper. I had to do this a couple times until I was happy with the way the footprint looked. Now the tricky part! Once you have a footprint you like, you need to do the same on the other side. Slightly angle the second print so it can form the 2 bumps inside the heart. Next you need to trace out the heart around your footprints. I used a large heart cookie cutter shape to get a perfect heart. 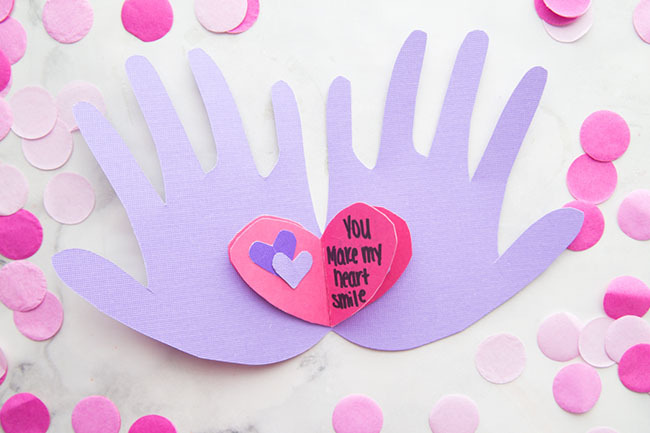 You could also find a heart template online and print it off and then trace around it. Or you can try and free-hand draw the heart around to cut it out. You will be placing some conversation hearts on top so it doesn’t need to be perfect. Once you’ve traced out your heart, cut it out and glue it to the background paper of your choosing. I chose just regular pink construction paper, but if you have some pretty scrapbook paper it would make a beautiful background also. Now to make the heart border. First, select the color scheme and pattern you want. We chose pink, purple and white conversation hearts. 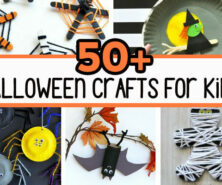 Then start to hot glue gun them down (adults should do this part) starting at the top and working your way around. For the very top part, notice that there are 2 conversation hearts inverted to form the inside of the heart. That’s it! 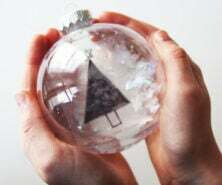 It’s a pretty quick and simple craft but makes such a nice keepsake or gift! This would be a perfect gift for a grandparent or mother or father for Valentine’s Day or Mother’s day. You can even frame it and keep it for many years to come! 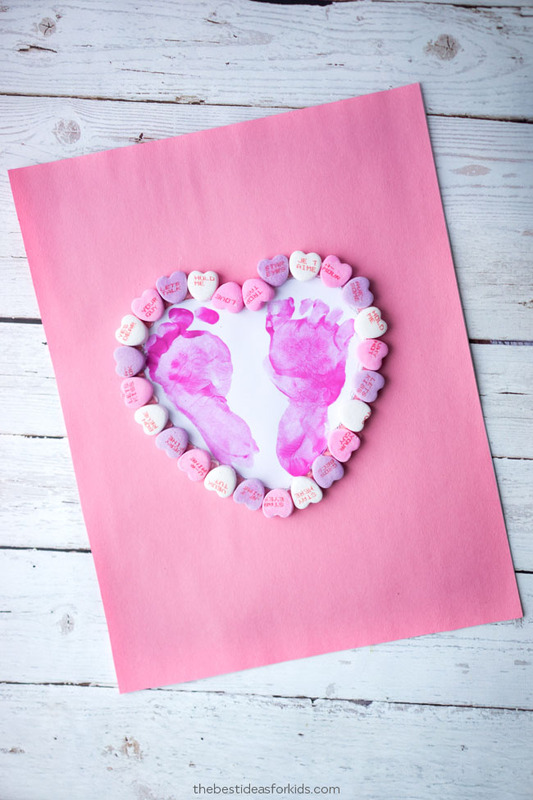 Other options: if you’d rather not use conversation hearts, you can also use pom poms to create a border around your footprint heart. Great ideas but this year message candy hearts will not be available. Do you have an alternative? You can get little heart foam stickers, you could also cut out small hearts yourself from some glitter paper. You could use pom poms or gems. Lots of alternatives hopefully that gives you a few ideas!